Florence, Tips for Travelers, Tours & Excursions Cinque Terre, day trips from florence, Florence, leaning tower, liguria, lucca, Perugia, Pisa, Sailing, st francis, toscana, travel, Travel ideas, Tuscany, Umbria. permalink. Sitting not quite halfway down the boot of Italy, the Renaissance city of Florence is a fabulous hub from which to easily explore much of the peninsula. 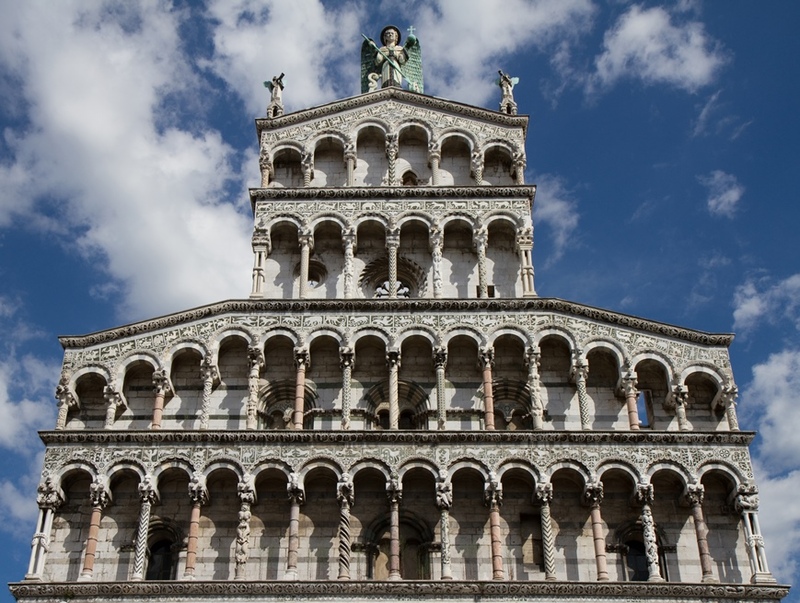 The Leaning Tower of Pisa and Puccini’s hometown of Lucca, close to the western coast are just an hour away. Hilltop Perugia, 100 miles to the south, is less than a two hour drive. And even the gloriously scenic Cinque Terre clifftop villages are within easy reach and perfect for seaside day trips from Florence. So if you’re looking for inspiration, here are our favorites to whet your appetite; which ones will you choose? Perched high on the craggy clifftops of the Ligurian Riviera, the Cinque Terre is a picturesque string of five fishing villages dating back to medieval times. For centuries, only mule tracks and footpaths along the cliffs connected the villages, but today they’re accessible by rail, road (to a point) and sea, offering dazzlingly dramatic day trips from Florence. 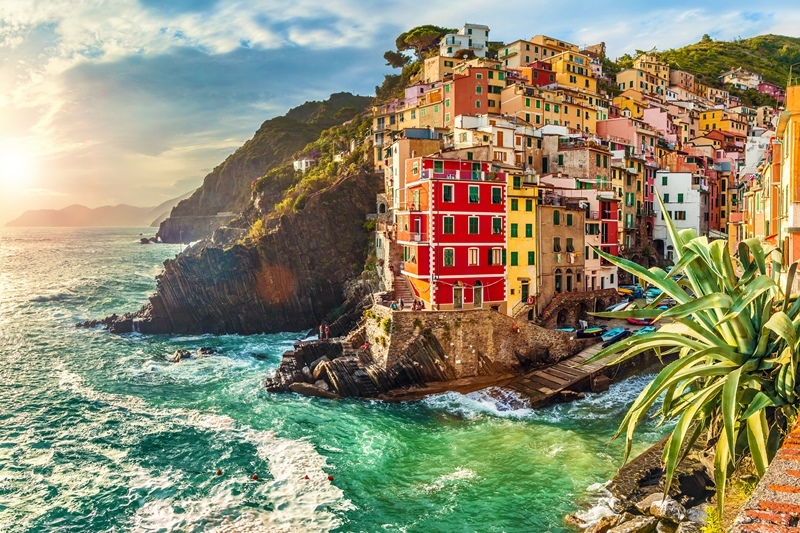 Each village has carved out its own colorful corner along the isolated six-mile stretch of coastline, clinging to a ravine or rugged cliff top overlooking the beautiful Ligurian Sea. Houses are painted in pastels, while weathered fishing boats fill the tiny harbors and hardy vineyards cling to the almost vertical terraces facing out to sea. Add to that some of the freshest seafood, spectacularly scenic walking trails and totally traffic-free villages and you have the perfect spot for an unforgettable day out. If you’ve not visited the enchanting coastline before, then our Cinque Terre Guided Group Tour is a great way to start exploring. Traveling by a combination of minivan, boat, train and on foot, you’ll drop into each of the five beautiful villages in turn, learning about their centuries-old histories and stopping to sample some of the delicious food and wine that have made this rugged area so famous. Your guide will show you colorful Riomaggiore, Manarola, Corniglia, Vernazza, and Monterosso from almost every vantage point imaginable, with plenty of photo opportunities along the way. And you’ll also have the chance to walk some of the gentler historic footpaths that once provided a lifeline to nearby towns and cities. Today they’re just as spectacular, offering unique views over this UNESCO World Heritage protected coastline. And at just two hours drive away, this is definitely one of the must-see day trips from Florence for any Italophile. For more variety, taking in the landscape of the surrounding national park too, why not shake up your trip with a sea and land tour of the Cinque Terre and neighboring Portovenere? Traveling as a small group, you’ll stop first in Riomaggiore to stroll through its quaint village streets, admiring the pretty painted houses and charming squares leading down to the medieval waterfront. Next stop is Manarola, where neat rows of grapevines and olive trees dot the hillside in between higgledy-piggledy houses. And then you’ll drop down into Vernazza, considered by many to be the most beautiful village in all of Italy, where you will have a chance to tickle your tastebuds with some morning-fresh seafood in one of the village’s traditional trattorias. And then it’s on to Portovenere by boat to take in the view from the water as each village floats gently by, before rounding off the day with a climb up to Portovenere’s castle. 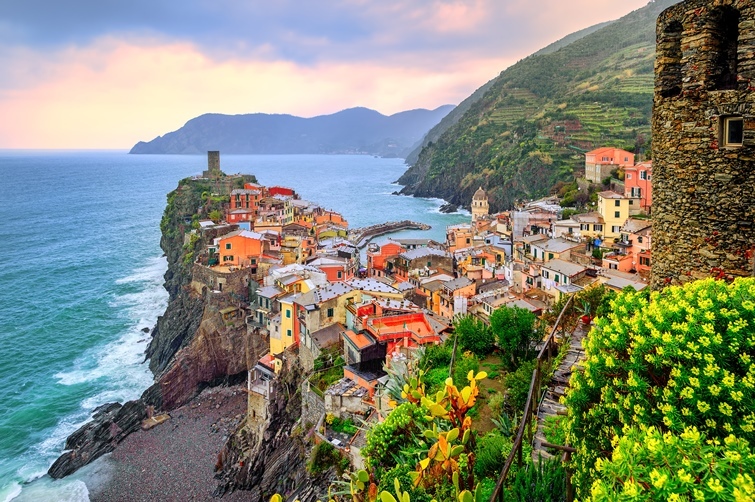 If you prefer the personal touch, our Cinque Terre private tour is ideal as you explore the colorful coastline under the guidance of your own local expert. Traveling south to north along the coast, your day will take in culture, cuisine and scenic beauty. From Riomaggiore you’ll explore Manarola, the second smallest village of the five, before stopping at hilltop Corniglia, enclosed on three sides by juicy grapevines that overlook the warm waters of the Med. It’s a great spot to sample some local dishes and vintages for lunch before continuing on to the picture-postcard harbor of Vernazza. 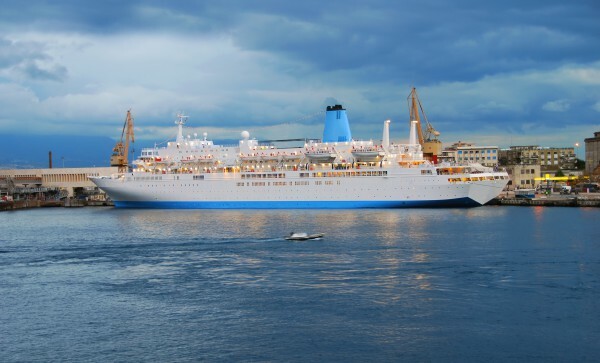 Another option is to take a 23-foot long sailboat for a day’s cruising along the lovely Ligurian shoreline, stopping for a delicious lunch of local delicacies and two wine tastings, one at Tramonti in the Cinque Terre and one in La Spezia. This sailing and wine tour is the perfect way to take in the atmosphere, color and flavors of the Cinque Terre as the stunning scenery slips slowly by. What could be better? Closer to home, Tuscany offers some of the most iconic cities and landscapes in Italy, with plenty to offer the day tripper, from historic hill towns to walled citadels and legendary leaning towers. So if you fancy exploring the region’s interior more closely, why not pick one of our Tuscan day trips from Florence? 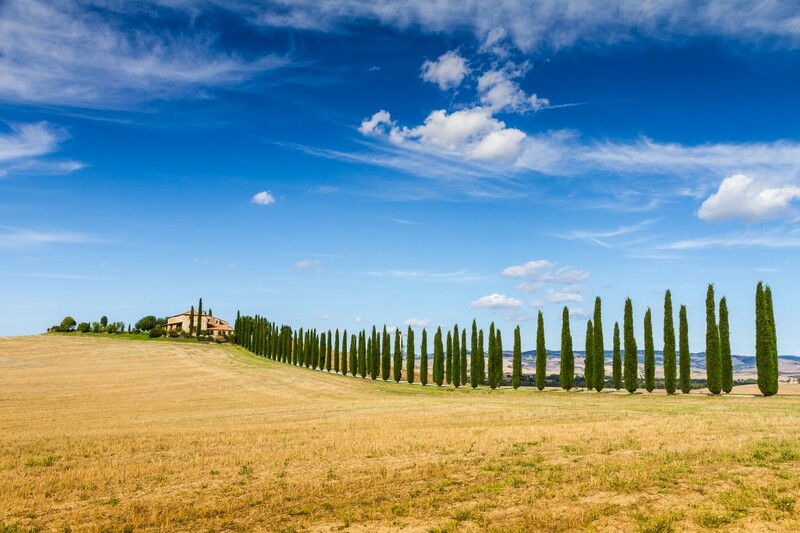 The region of Tuscany is famous as the birthplace of the Renaissance and home to some of Italy’s most impressive art, culture and architecture. And Lucca makes a wonderful place to start, with its massive 16th century ramparts protecting some beautiful Medieval and Gothic architecture. Our art cities of Tuscany tour continues on to the stately homes, sandy beaches and marble mountains of Forte dei Marmi on the coast. 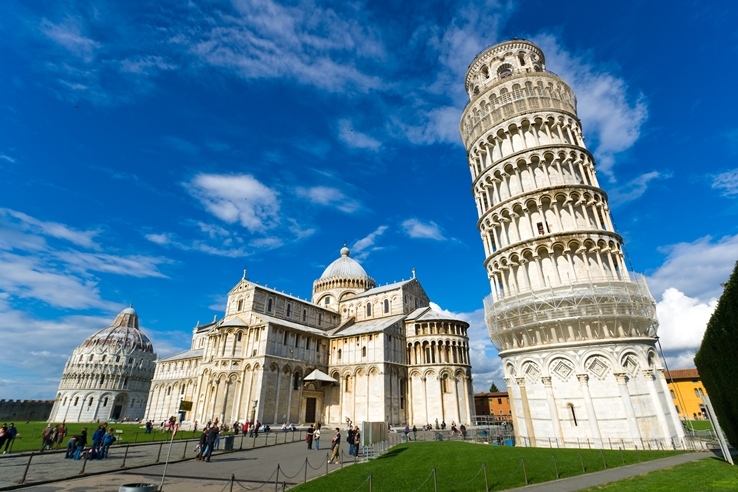 And after lunch or a quick dip to cool off, your guide will take you to the iconic and world famous Piazza dei Miracoli in Pisa. You’ll know it as the home to the instantly recognizable leaning tower of Pisa, but don’t overlook the stunning cathedral, baptistery or cloistered cemetery. It’s all just 50 miles, about an hour’s drive from Florence, and is too good a chance to pass up. Lucca is well known as a largely pedestrianized city, restricting access to vehicles during the day, but exploring by pedal-power is positively encouraged. A private bike tour of Lucca offers a unique perspective of the walled city’s architectural beauty and the splendor of its historic center, including the shop-lined oval piazza built over an old Roman amphitheater. And by following the tour’s circular route, you’ll take in the tall, wide walls, the Serchio river and plenty of scenic vantage points for some truly memorable photographic opportunities. Just over an hour to the south of fabulous Florence is the quintessentially medieval city of Siena. Balanced atop three hills, the city is an ancient rival of Florence that once matched it in wealth, power and architectural beauty. And, due to a sad twist of fate, the city has remained largely unchanged since the days of the plague that brought an end Siena’s dominance, leaving its narrow streets and alleys sealed in time ever since. It’s a fabulously evocative city, and our Siena and San Gimignano group tour continues on to San Gimignano, nicknamed the ‘Manhattan of Tuscany’ for all its skyscraper-like towers, built ever taller by jealous rivals until the town finally outlawed any more tower building. Then round off your day trip from Florence with a fiery sunset and a typical Tuscan dinner in the Chianti countryside — this is Tuscany at its very best! 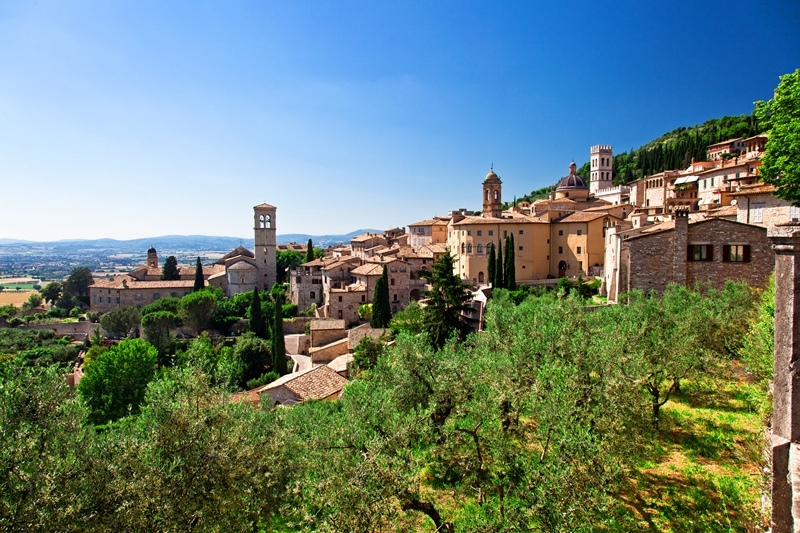 Finally, it you like to roll a little bit of everything into your vacation, why not choose a group tour to Perugia, Assisi and Lake Trasimeno? At around 100 miles from Florence, Perugia, the city of chocolate and capital of Umbria, is easily accessible and a great choice for a day trip from Florence. Your day includes a stop at the medieval fortress town of Passignano sul Trasimeno, overlooking the gorgeous lake, before continuing on to Perugia to explore the sights and winding streets of the hilltop city. 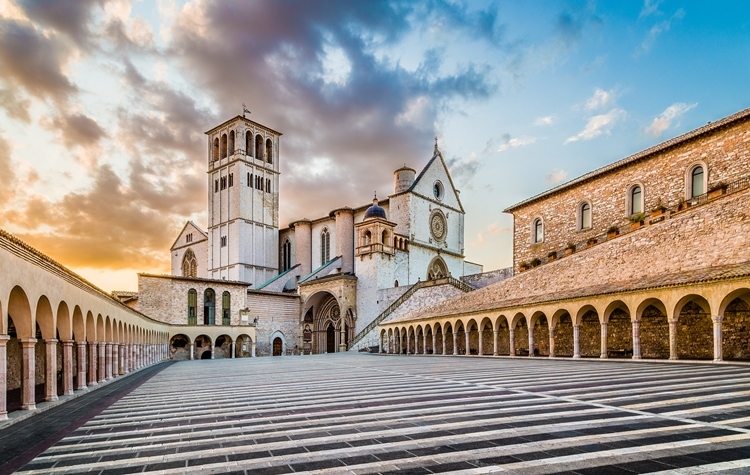 Your last stop of the morning is Assisi, the birthplace and spiritual home of St. Francis. After a break for lunch, you’ll continue up to the old town where our local expert will take you to some of the region’s most important and celebrated religious locations, including the Basilica of San Francesco and the Renaissance Chiesa Nuova, said to be built over the saint’s childhood home. With a stunning, scenic drive back to Florence across the Umbrian plain, this is one tour that is bound to leave you with a feeling of tranquility and spiritual serenity, together with some lifelong memories. So many day trips from Florence! As you can see, Florence is a well-placed hub from which to explore many corners of the Italian peninsula. And with the fabulous Cinque Terre, Pisa’s famous leaning tower and Assisi’s spiritual Basilica of San Francesco all under two hours away, you’re definitely spoilt for choice of day trips from Florence. So if you’re planning to go to Florence, make sure to speak to one of our travel experts about booking the perfect day trip and, in the meantime, leave us a comment with what’s at the top of your Florence wish list. Happy travel planning!